SUMMARY: At the same time Adolf Hitler was attempting to take over the western world, his armies were methodically seeking and hoarding the finest art treasures in Europe. The Fuehrer had begun cataloging the art he planned to collect as well as the art he would destroy: "degenerate" works he despised. Focusing on the eleven-month period between D-Day and V-E Day, this fascinating account follows six Monuments Men and their impossible mission to save the world's great art from the Nazis. In a race against time, behind enemy lines, often unarmed, a special force of American and British museum directors, curators, art historians, and others, called the Monuments Men, risked their lives scouring Europe to prevent the destruction of thousands of years of culture. 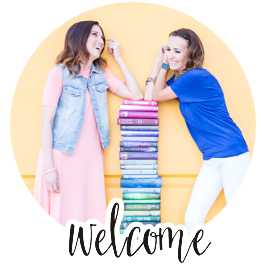 OUR GROUP REVIEW: Overall, we felt like the book had amazing details and we were in awe at the extensive research that Robert Edsel did in preparation for the book. 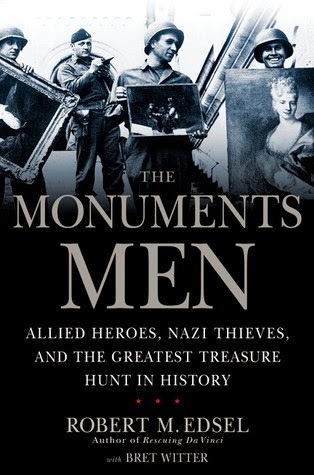 Just as mentioned at the beginning of the book, Edsel admitted to acquiring so much information on the Monuments Men and their efforts that he had to separate the discoveries and activities that took place in Italy for another book--Saving Italy, published in 2013. Many of us had a hard time following the story because it did seem to jump around and there were so many characters to keep track of. I put together this PDF guide here for the main characters of the book (I wished I would have had something like this while I was reading). Brittanie created an awesome PowerPoint here. Her presentation gave us a snapshot of the main characters in the book and some key places that were a part of their story, including Altuassee and Monte Cassino. We watched the trailer for "The Monuments Men" movie, which several Delicious Reads members went together to see that weekend. Though the movie isn't as historically accurate as the book (they even gave the main characters different names) and many of the events were over-dramatized, the overall feel for the book gives a little taste of what went on with the Monuments Men. 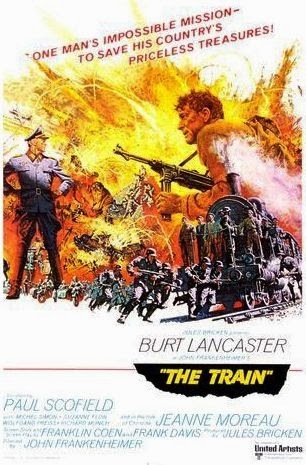 We also watched a clip here from an old black and white movie, called "The Train." The movie is based on a book the Rose Valland wrote called Le front de l'art. The scene we watched is supposed to be representative of Rose Valland and her role as a spy that helped the MFAA. 1.) It was ironic that Hitler despised the Jewish, but coveted their art and belongings. He wanted all of the art that was German or what he considered German. He took everything. Harry Ettlinger said years after the war, "My knowledge of the Holocaust started really with the realization that it was not only the taking of lives...but the taking of all of their belongings." We liked that Harry got some of his grandfather's stuff back (though he still keeps it hidden away in a closet). 2.) The Monuments Men had the credentials and the passion for art to risk their lives for this cause. The story of the rescue of a sixteenth-century Flemish painting details how, in the midst of the fighting, two Monuments Men, Walter Hancock and George Stout, carefully wrote detailed notes on the painting. It definitely took a special kind of person with an interest in and/or passion for the arts to be a Monuments Man. The outcomes wouldn't have been the same if a soldier had been assigned to that division who did not have an interest in art. 3.) In a letter to a colleague on October 4, 1944, George Stout recounts his conversation with an old colonel about his activities in the MFAA division, and how the colonel became more and more interested and excited. Stout closes the letter by writing, "Perhaps [. . .] this simple, curious outlook of healthy men is more important than some of the monuments themselves." -We agreed that this was true to an extent, though some of the men would have sacrificed themselves for the art (and some did--Walter Huchthausen and Ronald Balfour). -We have an emotional connection to art, we seek for it. -The beauty/ray of light in the war that these men saw was: "I can save this!" They were doing something that wasn't destructive--saving not destroying like the rest of the war caused. 4.) We loved Rose Valland! Of course she was the only woman mentioned so it was easy to stand out, but we loved her attitude too. She was strategic and had allies on both sides. Rose Valland believed “My duty is to the art.” We thought that the author's constant talk about her being matronly and unattractive may have been excessive. We believed her plainness was a choice too, that is made her not stand out so she could do what she did. 5.) On May 13, 1945, Monuments Man Lincoln Kirstein wrote about Altaussee, wondering, “How could one of the most important and unbelievable moments in art history—not to mention the history of a world war—simply become a forgotten footnote?” Despite his disbelief that this could ever happen, for the most part the role of the Monuments Men did remain largely forgotten or unknown until recently. We believed this was due to the fact that so much horror happened at the same time. Don't forget to check out our full photo recap of the night HERE! Robin, this is a wonderful review! You always do such a great job. Thanks!